Stat of the day: $40 per kilo. The price of vanilla has jumped from $25 to almost $40 as poor vanilla pod crops in Mexico and India threaten supply. The shortage will hit a whole swathe of industries, from ice cream to medicines, perfumes to food production. Analysts reckon that the price of a scoop of vanilla ice cream will go up by 10% to help manufacturers preserve margins. In Mexico alone, production of the spice has fallen by 90% in the past year, according to data from Mintec. Panic buying has now begun in earnest. Widespread stockpiling of Madagascan vanilla, the only full crop remaining, has pushed up prices even further. Around 40% of the world's supply of black vanilla – some 1,000 tonnes – was recently shipped out of Madagascar following a sudden jump in orders. Vanilla is the second most expensive spice in the world after saffron. It is hugely labour intensive to grow and harvest. 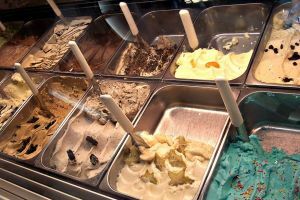 But that will be cold comfort to those forking out over the odds for their double scoop of gelato vaniglia this summer.